Actually this post is not about men in charge or the ultimate manager's tool or even furniture. It is about hardware, at least the way I am am experiencing the items in my office. What I want to say is when I buy a new computer, which is my ultimate tool I essentially need for my job, I research first its CPU speed, graphics depth, mobility features, monitor bigness and brightness, but now, things are changed.. When I sat on this wonderful invention of all times, I first listened the soft sound of us making the ultimate bond and all I said was WOW! I mean those "suits" people surely know how to live life! I admit it - I was a fool for years. In the future, I will avoid programmers chairs in big circles! Hmm, I wonder now how deluded I am with my old oak table and old stylish tripod board.. Who knows what else is out here in nowadays 21st century offices... Can't wait for my next birthday. 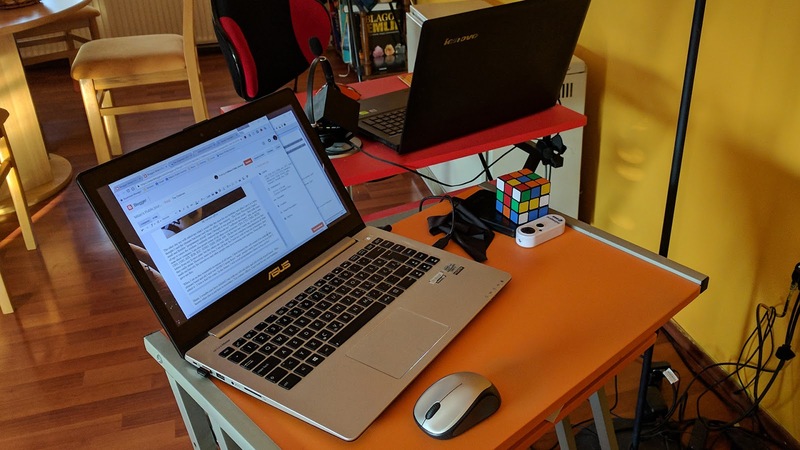 On the other hand, there is one more 'office' I equally enjoy - and it is called 'the living room' - in above image there are two laptops I used to work as well. 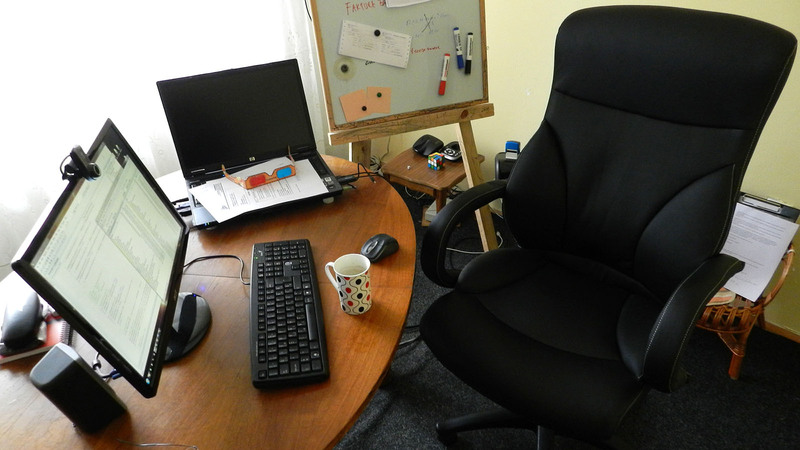 In latest years almost all the time, considering that I am the only employee, having a separate office in many cases is not mandatory anymore. Obsolete even... At least in my profession.